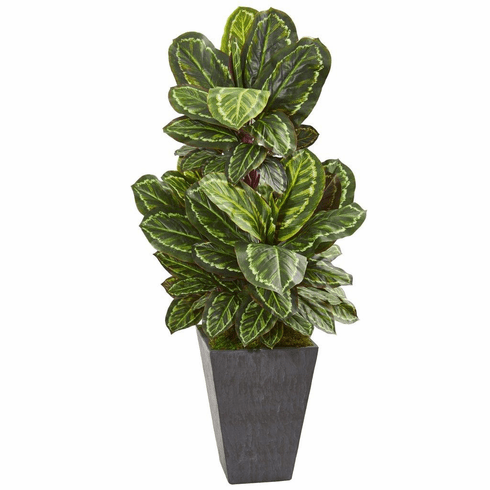 If you're looking for a way to freshen up your home without the dramatic colors sometimes found in flowers, then this maranta artificial plant is for you. With dark green and yellow variegated leaves that overlap to create a full, lifelike appearance, this piece would complement any style decor. Place one on either side of your front entry for a chic finish. It comes in a slate finished planter. Height: 53 In., Width: 22 In., Depth: 22 In., Color: , Pot Size: H: 16 In. W: 12 In. D: 12 In.